The Visual Content Apocalypse is headed right for us. Think about it: as we produce more and more visual content, we’re facing bigger and bigger roadblocks every day. Do you know how to face the frustrating challenges that come with storing high resolution photos and videos, moving massive files from one place to another, and finding the perfect creative asset to share as soon as your brand starts trending? Don’t be scared. Instead, watch our latest Libris Visual Storytelling Webinar, How To Prepare Your Team For The Visual Content Apocalypse. 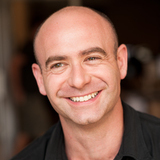 Andrew Fingerman is a visual content marketing expert and the CEO of PhotoShelter. Previously, Andrew lead PhotoShelter’s marketing team as VP of Marketing, and earned his chops as a Senior Product Manager with OPEN, the small business team at American Express, handling customer marketing for the Centurion, Platinum, Gold and Green charge cards. 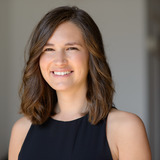 Kristin Twiford is a multimedia content producer and the Content Marketing Manager for Libris. She started out as a television news reporter, and now produces written and video content about how brands use visual storytelling. Prepare for the visual content apocalypse.